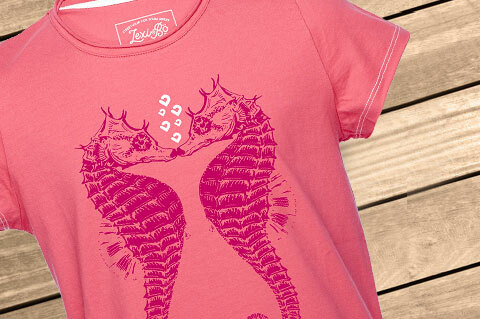 Details "Kissing Sea Horses Girls T-Shirt"
Our Lexi&Bö Kissing Sea Horses t-shirt for girls in pink - honeysuckle convinces with its cute animal design. The kissing seahorses with the logo bubbles are total eye-catchers and give a lot of pleasure. The cut-out fabric at the hem gives the shirt its cool used look. 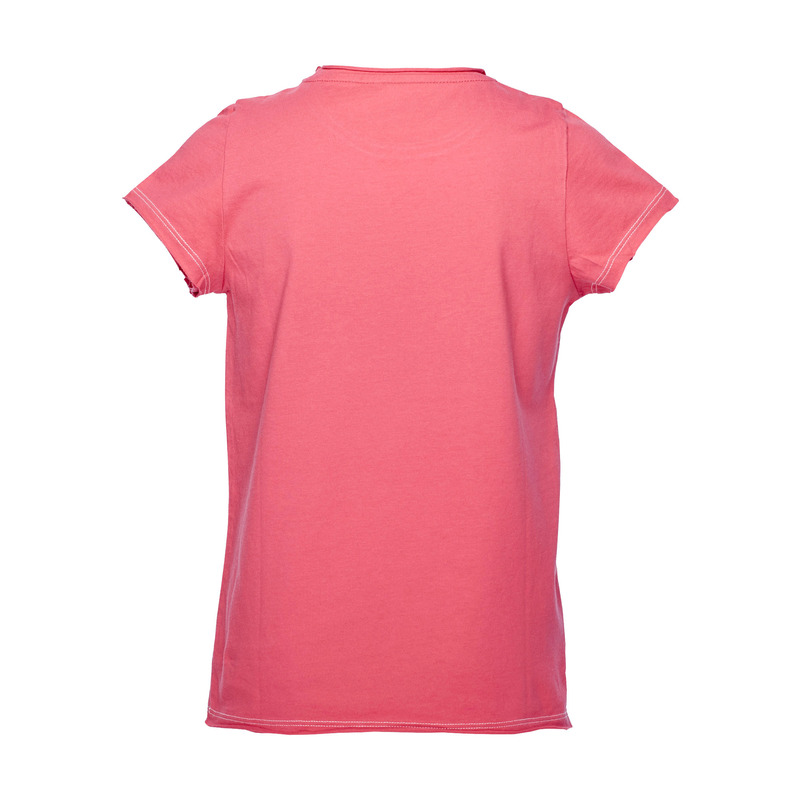 The design is printed with a water-based and environmentally friendly color. 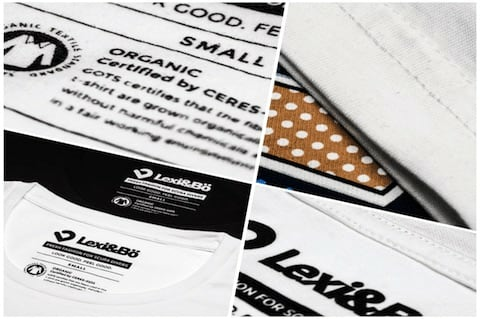 The easy-care fabric made of 100% organic cotton is free of any chemicals. With its straight loose cut, it is super comfortable to wear, whether on children's birthday parties, at school or at the beach. The thick seams at the hem and short sleeves protect the shirt from wearing out so fast and provide a lot of freedom of movement. Simply adorable. 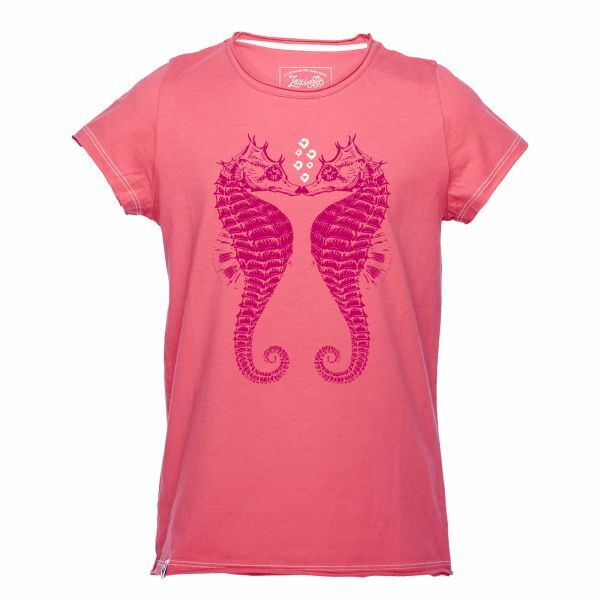 Customer evaluation for "Kissing Sea Horses Girls T-Shirt"